Botox is a popular term in the world of cosmetic surgery, but very few people know what it really is and how it manages to smooth out those lines and wrinkles so effectively. In case you are considering going for a few Botox injections yourself, become a little more enlightened about the entire affair by going through the following points. Yes, it’s true! Botox is derived from the neurotoxin named botulinum, which is produced naturally by the Clostridium botulinum bacteria. Now while that may start raising alarms in most people, there is no need to panic because Botox is safe to use in the right amounts, as long as it is being administered by an experienced medical professional. Aside from removing lines, wrinkles and other signs of aging, the chemical is also used for treating certain types of muscular dysfunctions as well. Never opt for a Botox treatment, unless it comes from a reputed source (Allergan, Merz, and Galderma are three of the most popular providers). Ask your doctor about the manufacturer and go to their website to see whether or not they have an option there to let you check for authentic doctors and clinics who have bought the Botox from them. If you can’t find the name of your doctor or the clinic in the list, it’s not a good sign. You should also consult with your doctor further to see if he/she adds anything else to this list which might contribute to prevention of clotting and consequent bruising. 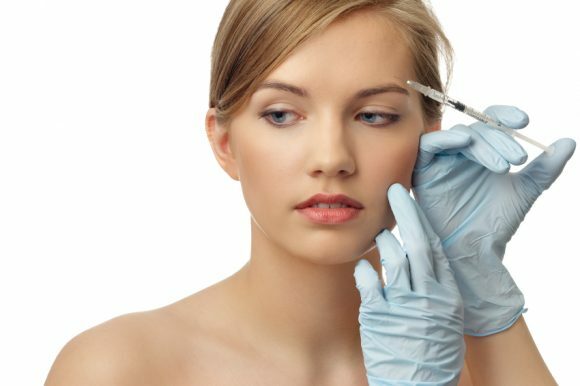 In spite of taking all the necessary care, needles at times do pierce a few tiny blood vessels while the Botox is being injected. In such cases, bruising might occur from the resultant pooling of blood and that’s never desirable. The good news is that a simple vascular laser treatment session soon after can take care of that bruise for you in less than a day. Before you take your first injection, understand that there are other filler options such as Restylane, Perlane and Juvederm, which are considered by some experts to be a much safer alternative to Botox. If you are looking for Los Angeles Restylane treatment options or just some good old Botox injections from a safe and legally certified clinic, make an appointment with Your Laser Skin Care or just call them now for a free consultation. Another point to keep in mind is that you must tell your doctor everything regarding your medical history. He/she will consider your history and decide how to proceed in a way that’s most beneficial to you. It will also enable your doctor to eliminate any chances of health complications during the procedure.